I wanted to be a florist ever since I started working as a criminal lawyer at the age of 23. I didn’t just fall into this on a whim. Each afternoon, once we’d dissected the cases won and lost that day in court, there’d be tea, always made by the day’s loser, and a discussion on our dreams. For Neil it was to be a writer – his crime fiction books are now all over Waterstones; Eddie’s Plaice mobile fish and chips is still to take the North by storm; and my flower shop, well, it’s a small workshop in a corner of Yorkshire and not actually a tasteful community hub where folk can drink coffee whilst thinking about what flowers to buy. Flowers got me through each week. 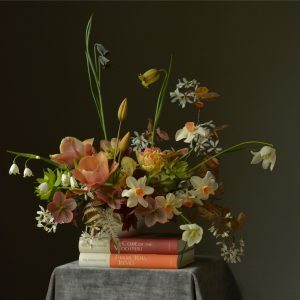 Existing on a diet of robbery, drugs, and high profile cases involving things that were I to write them down here would send the SEO in the wrong direction, I would focus on what flowers I needed for the weekend. Wafting into The Willow Garden at 6pm each Friday the headache would lift and, for a while, I’d forget the huge suitcase in the car boot crammed full of weekend reading. I thought £35 of flowers to be quite decadent but justified it as ‘meditation and training’. Flower Meditation wasn’t even a ‘thing’ back then and Instagram had yet to be invented. All I had was Paula Pryke and a fondness for the darkest red Grand Prix roses. I love how fashions change. Early retirement was my goal. By 55 I’d have saved enough money to live the flowery dream. And then the recession happened. I was 40. Oddly, I actually started to buy more flowers, worried that the best flower shop in town might close. 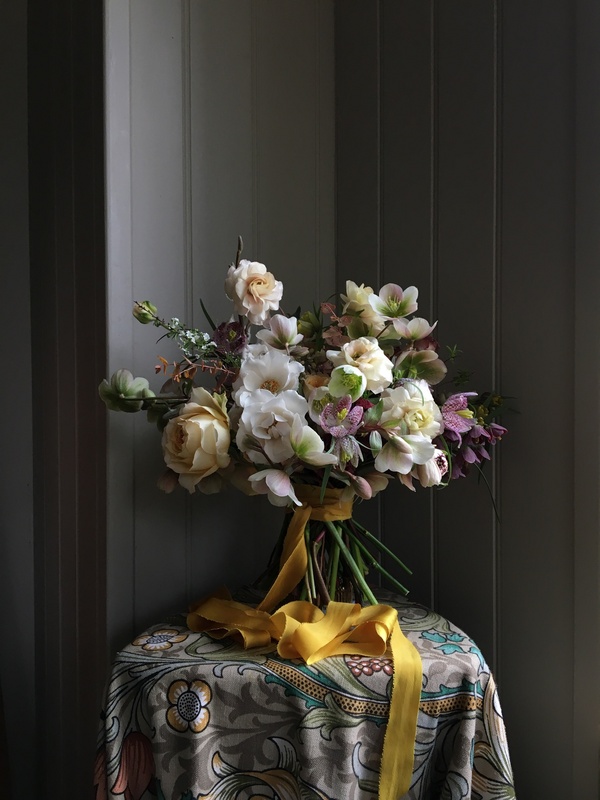 I asked if they’d run some classes, because having tried every design in Paula Pryke’s books I felt I could move on to…..wiring and those evasive corsages! “You could do workshops yourself” they said, “It’s not really what we do”. So, I looked further afield, and the only workshops I could find to go on were in London Town. 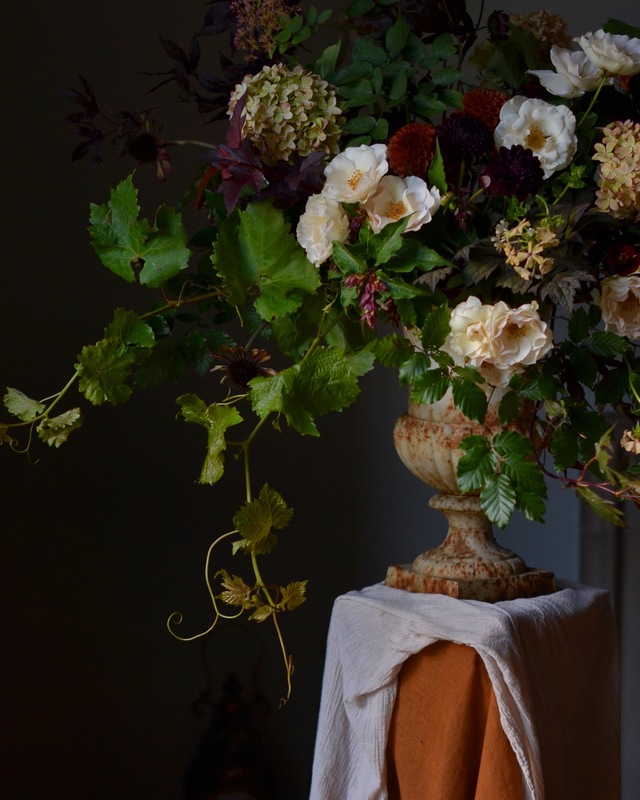 A Christmas table decoration class with Judith Blacklock seemed just the ticket. Located off Kinnerton Street, with some fancy shops and a good pub nearby, this was the place of my dreams. 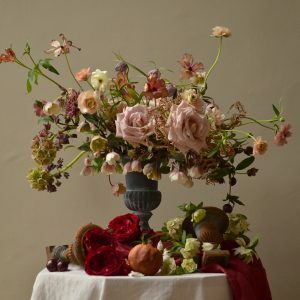 Clutching my wreath and my terracotta pot stuffed full of as many deep red, velvety roses as I could get away with I emerged into a cold winter’s night – elated. “I used to be in hedge funds” said the lady taxi driver as she explained how much she loved her new career. “I think I’m going to be a florist” I replied. “You seem clever enough to make it work” she said. And then serendipity happened. Huge government cut backs made the day job (or should I say my 20 year legal career with sensible pension) almost impossible. Office closures were imminent. As the ship began to sink I decided to leave via the gangway, since I knew full well that there would be no money in the budget for life belts and the confidential waste pile would never make a decent raft. Career courses in floristry have changed a lot in the last decade. Back in 2011 there were around 3 places, all in London and all expensive. I opted for Judith Blacklock again and spent two happy and exhausting weeks learning it all. Oh yes, if you are a sailor I can definitely do you a good anchor for your coffin. 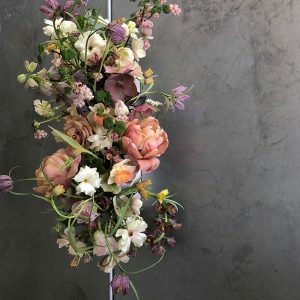 And, absolutely I can do a fully wired, cascading shower bouquet if you give me enough gin to get me through it. The closure of my office was announced on the day I learned how to make flower crowns (which explains my ambivalence to these odd accoutrements) and that, as they say, was that. As I left Judith’s (she still simply referring to me as ‘my northern friend’) I already had a plan. The north of England needed some flower classes. The high heels and black suits were packed away and a life in Converse commenced. 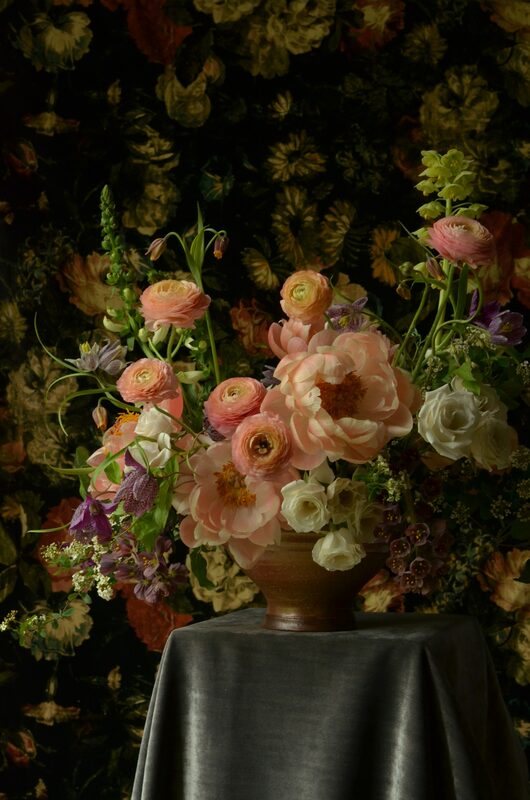 I set about learning all that I could about flowers and gardens. Right from the start my astute husband said I should grow flowers. He was oblivious to the soon to emerge trend of #britishflowers – he just wanted to dig up all the grass. 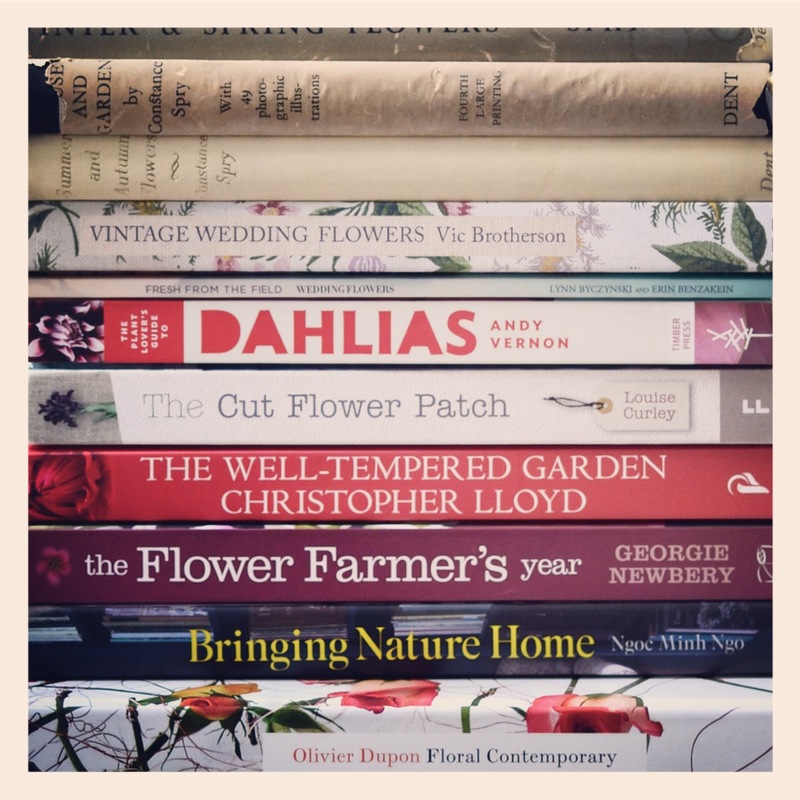 There were a few discoveries that revolutionised my life: Constance Spry, Miss Pickering, The Little Flower School and Gardens Illustrated. Back then you had to seek out your inspiration, you couldn’t just scroll. I’ve read every book by Mrs Spry several times over and I still return to her often. A day class in Stamford with Miss Pickering showed me that flowers could be natural and look like small gardens and, most of all, that there really are no rules. The Little Flower School was the game changer. That was about colour and shape and the wispy gesture. 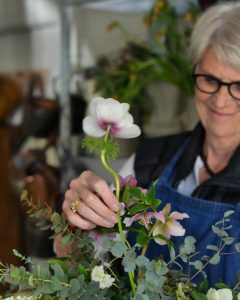 I love a wispy gesture more than anything else in flowers and Nicolette Camille is in my workshop on my shoulder every day. year working for other wedding florists, for no money, just for the experience. And, because I loved flowers so much, I didn’t mind at all. Long, hard days spent with oasis (oh yes, this was well before the foam-free revolution), trying to keep hydrangeas from flopping in heat or protecting white roses from rain, lugging buckets, huge urns, van loads of candelabra. Hanging garlands, moving archways, running a lot because often there was another wedding in another place. Sometimes having to dangle pearls from huge glass vases and occasionally making a note of things I will never use, however much fashion dictates. I came home each night filthy, and blistered. My car had become a shed of sorts and there was string and tape in every compartment. One thing I noticed was how invisible you become. Wearing a suit gets you in places. People in shops actually speak to you and ask if they can help. Wearing jeans and an apron is different. You are largely ignored and nobody wants to help you. If you’re offered a cup of tea it’s a rare and much appreciated gesture. Apart from learning the florist’s job – getting used to the long hours and working in all weather conditions, creating stuff that looks beautiful even though behind the scenes you are knee deep in detritus – there was so much more I needed to know, much more than I’d ever imagined. Social media had just begun. 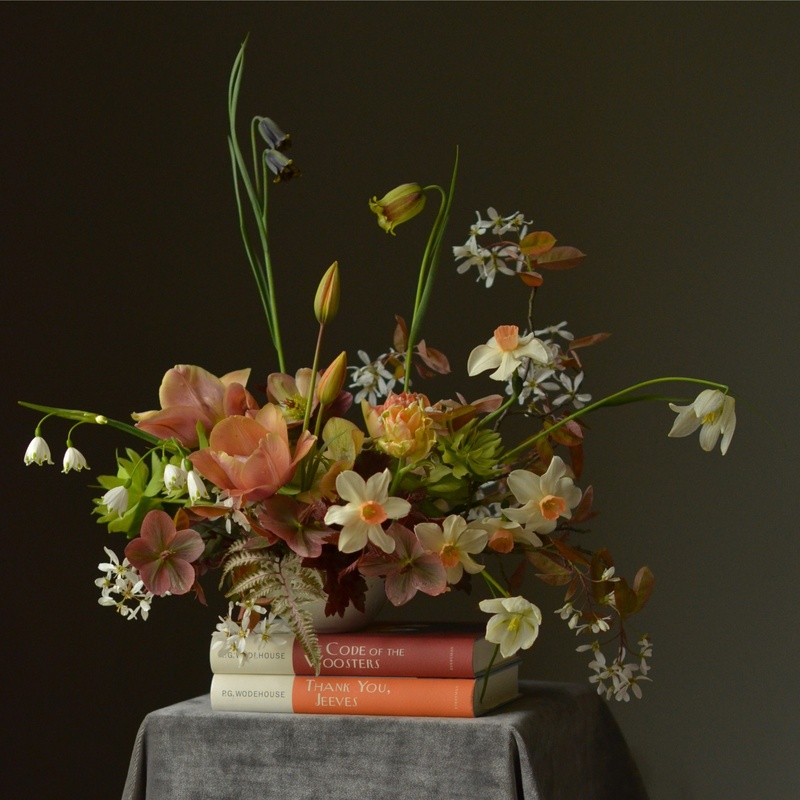 Every florist/floral designer/floral artist – whatever term you choose – needs to do their own PR, branding, marketing and photography. How you do it and how long you spend doing it is entirely up to you. The first thing I learnt was photography. I’m a lot better than I used to be, but there’s still a long way to go and it’s taken me years to be able to use the Manual button. 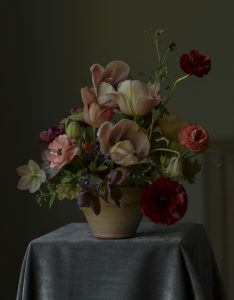 A good camera and lens transformed my photos but a few one-to-one classes with Sarah Mason (www.sarahmasonphotography.co.uk) were by far the best investment. I’m still chasing the best possible light wherever I go and sometimes I prefer the photo to the flowers these days – it lasts a lot longer! How to use Social Media is a minefield. Instagram is without doubt every florist’s best friend in terms of bringing in work – and maybe more importantly providing some company in those long and lonely days in the workshop. Rejoice each time you think someone has copied what you’re doing, because then you’ve well and truly arrived. And always remember that no idea is ever original. You can spend hundreds of pounds doing courses to help you run your Instagram account and ‘curate’ your work. For me, money well spent on how to use a camera seemed more useful. 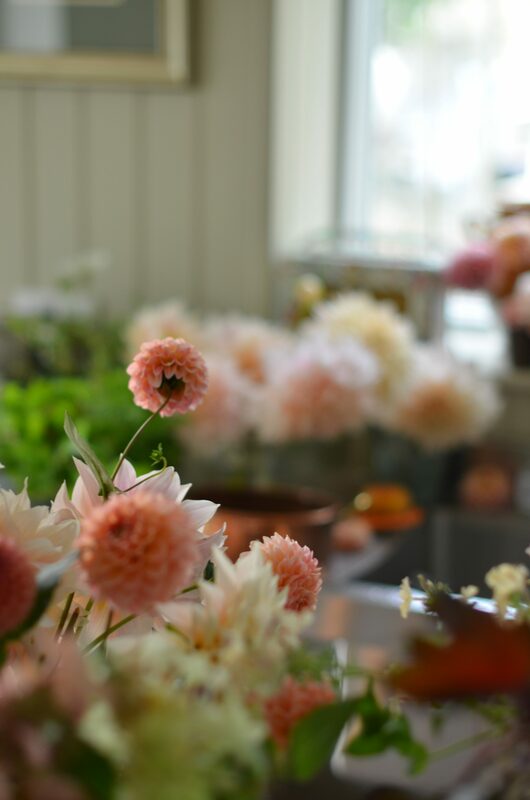 The boring stuff also needs to be done – accounts, insurance, maintenance, getting yourself onto the books of the right flower suppliers. Finding a decent place to work in is a massive challenge and we will always need more space, more light, a cold room and a range of different walls and backdrops, as well as deep sinks, good taps and a soft bed for the dog. 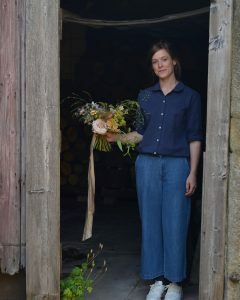 Accustomed as I was to dealing with stress and lots of pressure, there’s nothing quite like ‘doing the wedding flowers’. There’s the constant worry of not having enough flowers, or enough of the right flowers. Then there’s time. There is never enough time. And, when you finally drop into bed the night before a wedding in a state of extreme physical exhaustion, you won’t sleep because you’ll be wide awake worrying about whether all the flowers have died or been stolen and whether you’ll manage to deliver everything on time and to the right place. Will the bride throw the bouquet back at you in disgust? Will it all wilt as she walks down the aisle? Will the hanging installation fall on someone’s head? 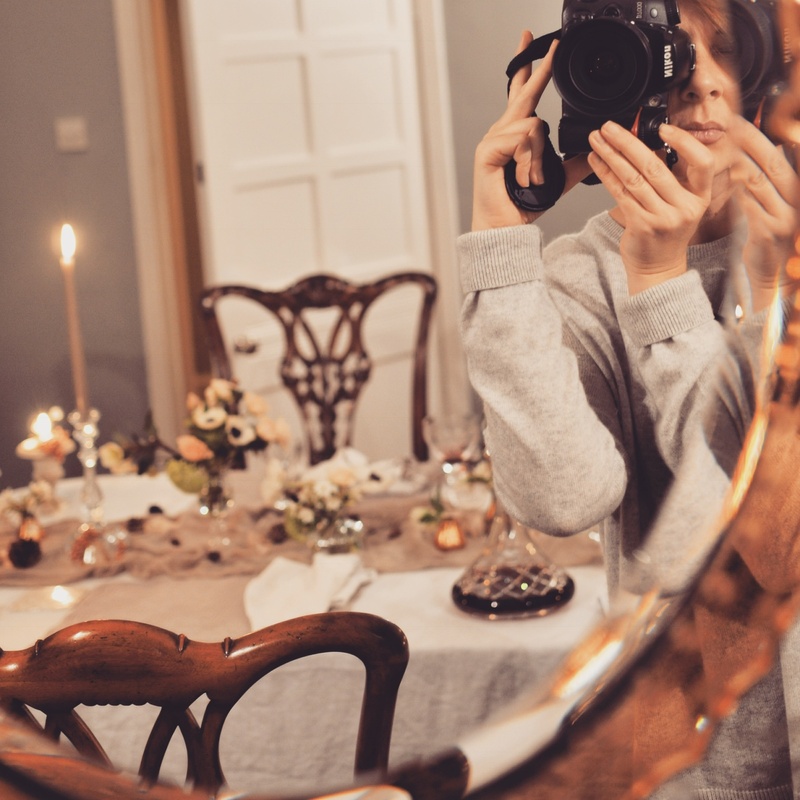 You might feel a tiny bit of elation if she loves her bouquet and if the church looks alive with flowers and if the ceremony room has been transformed ……and that little bit of adrenaline will make you do another, and another. As for workshops, they are exactly why I do what I do now. To watch someone, maybe someone who has never touched a flower, make something they love is a whole lot more rewarding than dealing with a suitcase full of baddies. To watch someone grow or transform their business because you’ve suggested a few things they could do differently is captivating. The workshop world is so different from the place I experienced nearly 10 years ago. Some days it seems to me that everyone is doing them. Choice is a great thing and competition makes everyone stronger. 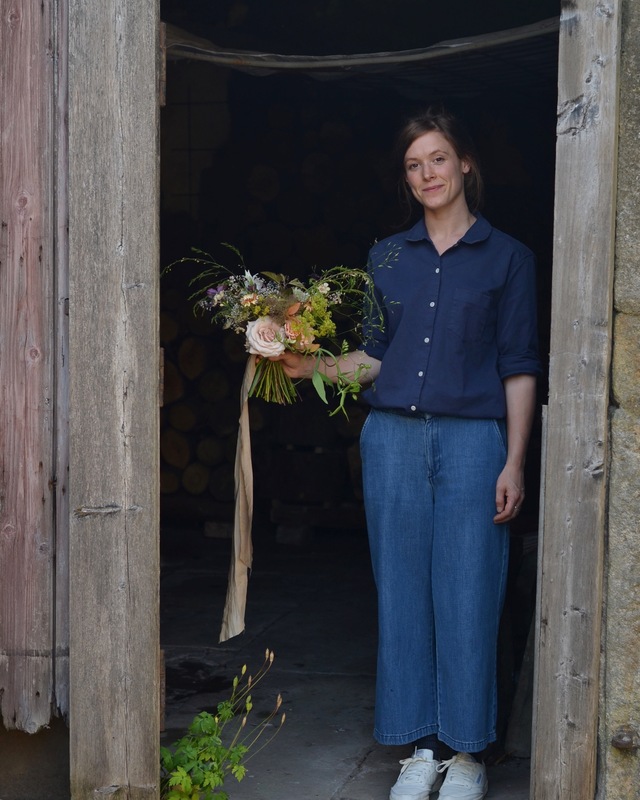 Having been on some of the best workshops in the world I would tell every new florist (and come to think of it, every experienced florist) to go on lots and there are several that I always recommend. There are even a few that I’d actively avoid, but I’ll only tell you that if you ask me a direct question because – and this is a definite hang over from the old job – honesty is everything. If you’ve read all this (all two of you) and you think you still want to be a florist then I wish you all the success in the world. It’ll earn you very little money and you’ll work harder than you ever imagined possible, but it might make you very happy. The accountant laughs every year when he gets our figures and then suggests we include an extra column for happiness. Finally, a few weeks ago I had a lightbulb moment. Each year we inadvertently mentor a new florist. 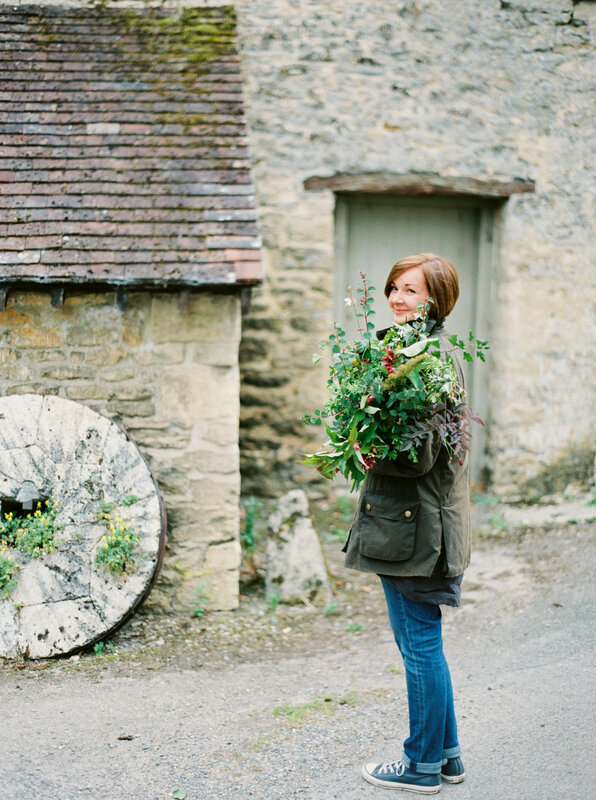 Holly now works for some of the best florists in the country. I’m sure she won’t mind me saying she turned down the chance to work on the latest Royal Wedding because she was abroad. 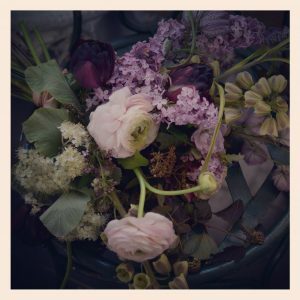 Charlotte has just launched her own floral design company in Cheshire, and I know will do some great work in the wedding world this year. 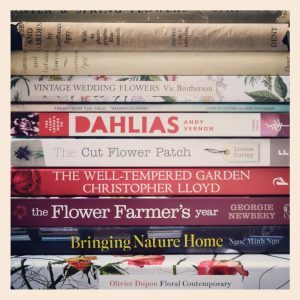 One Saturday morning, whilst watching Charlotte create a perfect pink bouquet for her portfolio, I came upon the idea of a ‘Flowery Finishing School’. Next year we will offer one place (maybe two) to someone who is at the end of their flowery training. Someone who is ready to launch their own business but who needs that final comfort blanket of a place in which to test out ideas, go over techniques and create a basic portfolio. There will be a chance to stay here for a few days, ask all the questions, read all the books, take all the photos and, at the very end, assist on a real wedding. 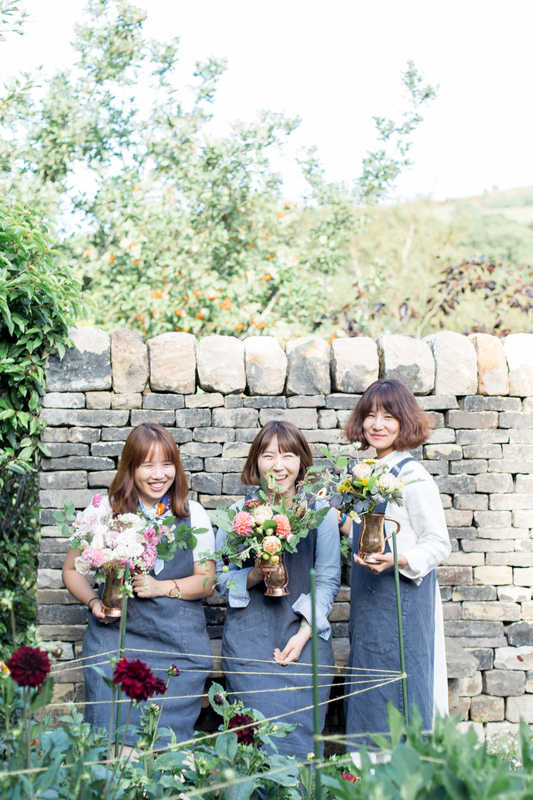 If you think we can help you then send me an email telling me why you want to be a florist (simplybyarrangement@sky.com).